“Our take on the black book is quite simple. We built a beautiful and simple way to keep track of everyone we hook up with. Just like follower counts on Twitter and Facebook, your ‘hook up’ count grows with each new entry. I’ve personally developed enough products at MySpace and, most recently, at eHarmony to know that we’re no different than the users of our services. We like to get around. 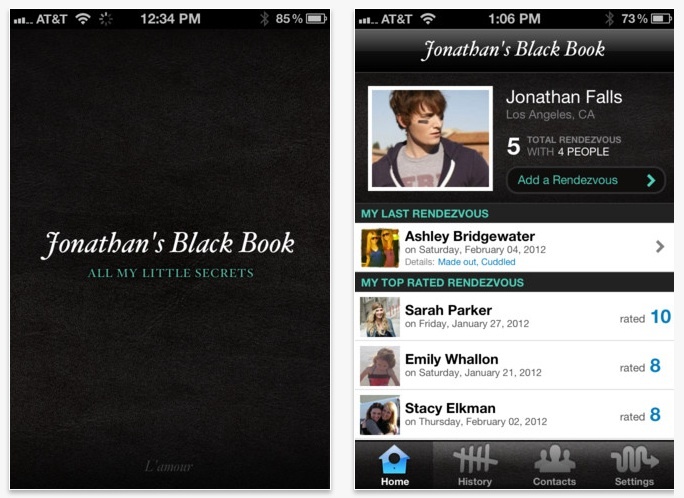 So, get your hands on the app here, recently #1 Lifestyle app on iTunes, and follow them on Twitter @littleblackbook. You’ll never have to create a silly Excel spreadsheet ever again like a handful of my friends do while juggling the many dating sites out there.